Made of black or dark brown plastic. Can use with hot or cold liquids. Thick lids are designed to ensure top performance and temperature retention. Nylex II latches have no sharp edges, won't rust, bend, or dent like metal; latches are mounted into steel reinforcement plates for long life. "Spring action" faucet for dripless service. Two carrying handles on the top. 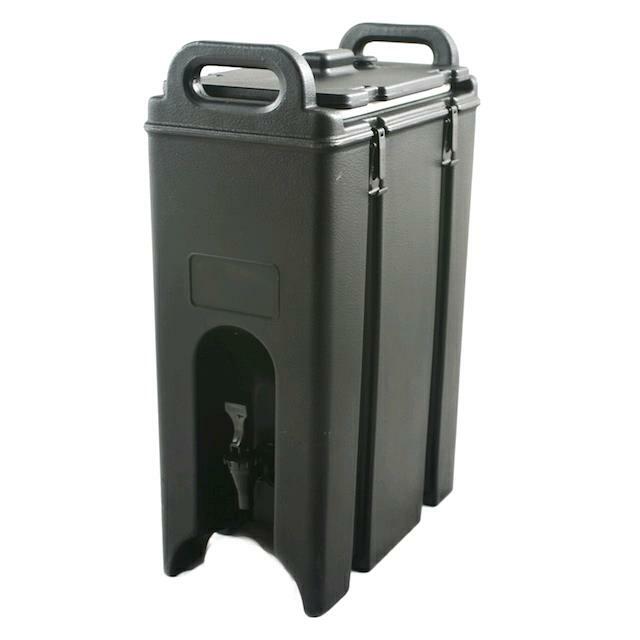 * Please call us with any questions about our beverage disp 5 gal cambro rentals in Columbia and Jefferson City MO.